It’s important for brands to be visible to their customers and follow advertising trends. There are many effective marketing strategies that brands are used to: TV ads, outdoor advertising, endorsements, sponsorship, and many more old-fashioned ways. Why should brands go mobile? We live in a digital age when almost everyone on earth uses a smartphone. 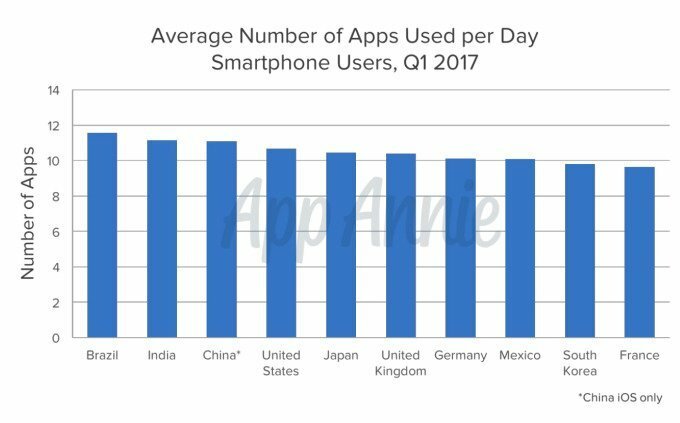 And according to App Annie’s recent report, smartphone users spend more time in apps today than they did during the same period of the previous year, using more than 30 apps on a monthly basis and launching nine apps every day. In the United States, the average user spends almost two and a half hours a day in mobile applications. First of all, such growth is related to the growth of the mobile audience itself. A lot of experts say that the era of mobile applications is ending and new technologies are replacing apps. Perhaps. But for the moment, we’re far away from a total app fadeaway. Now, conversely, we’re seeing the growth of mobile app usage. And if you’re still not among those who exploit the capacity of this platform for marketing, it’s time to think about its effectiveness. Smartphones are the one place where you can find everyone in your target audience. Therefore, why don’t you use the opportunity to reach mobile app consumers? With mobile apps, brands can enhance their customers’ offline experiences, connect with their loyal audiences, and drive ecommerce sales. According to Ipsos, 52 percent of those who regularly use a branded app are more likely to buy that brand’s products. The most innovative companies aren’t connecting with their customers through advertising only. They also use mobile platforms to reach their target audiences. More than 90 of the top 100 global companies with great branding have at least one mobile app. Here are some reasons for brands to go mobile. Since your application (hopefully) solves a problem for your users, they are more likely to share their data with you. You don’t need to send them an email asking them to fill out a form for a bonus or something. Your application itself is already a bonus, so it’s easier for you to get data about your users’ preferences. 1. Onboarding. You can collect necessary information about a user with a small questionnaire during registration. You might ask questions about age, preferences, habits, and so on. 2. Questionnaires for bonuses. If your application offers discounts, bonuses and special offers, you can provide some bonuses as a reward for a small quiz. 3. Analysis of in-app behavior. This is the most advanced way to collect user data, and is the most common method for loyalty apps. Your users make purchases or leave reviews of your products, and you collect data about their behavior, analyze that data, and correct your digital marketing strategy. A mobile app is a perfect tool for increasing loyalty. Starbucks is a doubtless leader in building brand loyalty through mobile platforms. Starbucks is commonly given as a perfect example of how a brand can tap into a mobile-app-consuming audience. You can read about how to create a similar loyalty program in one of our previous articles. A mobile application can serve as a way to attract new customers. 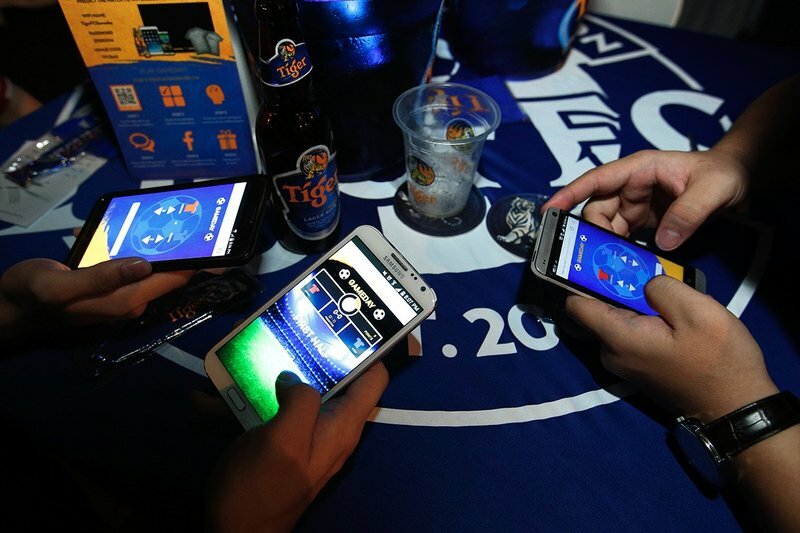 Tiger Beer, for example, chose a mobile platform to bypass the ban on alcohol advertising in Malaysia. Tiger Beer requested a marketing campaign that would help them avoid losing potential consumers because of the ban from the Metalworks by Maxus media company. They came up with a way to stay in touch with football fans by creating a mobile web app, Gameday, which was launched as a second screen while watching the matches of the English Premier League. With Gameday, users can predict match results and compete for Tiger-branded prizes. Moreover, the application lets users share their predictions on social networks. As a result, 43 percent of the target audience has actively used the application, and 38 percent have redeemed points for prizes. According to Ipsos, 38 percent of users of branded apps say that it’s easier for them to use those apps to find out about special offers and discounts and to make purchases than it is to do so through a website or a social media page. Thus, a mobile app is an additional platform for those who find this type of interaction more convenient. Mobile apps have one common problem. According to Google’s research, one in four apps are never used after the first launch. A user often downloads an application because of the cool name, catchy icon, or loud description, then opens it once and never returns to it again. Why does this happen? In fact, there are plenty of reasons why users abandon branded apps, including poor design – and, as a consequence, inconvenient controls – lack of functions, and other reasons. Here are the five most common errors that should be avoided if you don’t want to lose a user after the first use. 1. The app doesn’t solve the user’s problem. This is the most common mistake. When you decide to reach your consumer through a mobile application, you should understand that you’re not just placing your advertising on your potential buyer’s smartphone. You’re creating a useful and convenient product that will solve a daily problem for your users. Only if you do this will consumers return to the application again and again, and the app, in turn, will work for you. 2. The app doesn’t create awareness and loyalty. If a branded app doesn’t offer any brand information, discounts, and special offers, users are more likely to abandon it. 3. The app is hard to use. Any mobile app should be easy to use and intuitive to control. No one wants to use an app that takes ages to puzzle out how to use. Even if you offer the most necessary tool ever, forget about millions of users if your app isn’t convenient. 4. There’s no clear relation between your app and your brand.To power purchases, your app should be a logical extension of your brand. Or at least it should solve a problem that is specific to your target audience. 5. You don’t refresh your app constantly. Your app should always be in line with your brand. If you change your marketing strategy, branding, or offers, ensure that you have enough resources to update your app. A huge number of brands use mobile platforms as a powerful marketing tool. Mobile apps enable one-to-one interactions between brands and customers, allowing brands to turn communities into true families. Mobile apps humanize brands and facilitate better interactions between brands and customers, which allows brands to increase loyalty and, thus, sales.